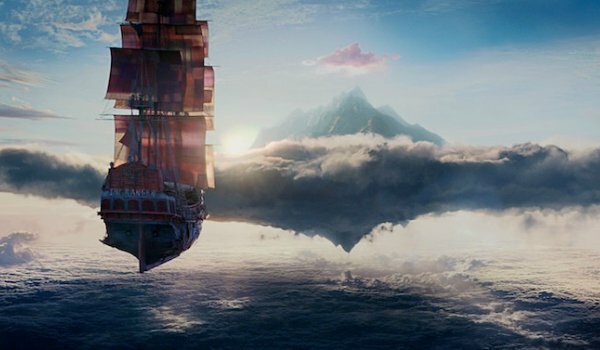 Hugh Jackman is dangling from a wire, floating roughly 35 feet over a full-scale model of a majestic pirate ship. Down below, diabolical sea-dwellers engage in an animated fistfight, and Jackman – dressed to the teeth as the pirate Blackbeard – descends over and over again into the fray. Once, when the wire pulls the A-list actor back into the rafters, he spies us… a small group of film journalists invited to the set of Pan to watch the actor and his colleagues at work. For just a moment, he breaks character. The menacing pirate is gone, and Hugh Jackman, The Movie Star, is flashing his brilliant smile and waving happily, prop sword in hand. It’s a beautiful, bizarre and wonderful movie moment I’ll never forget. 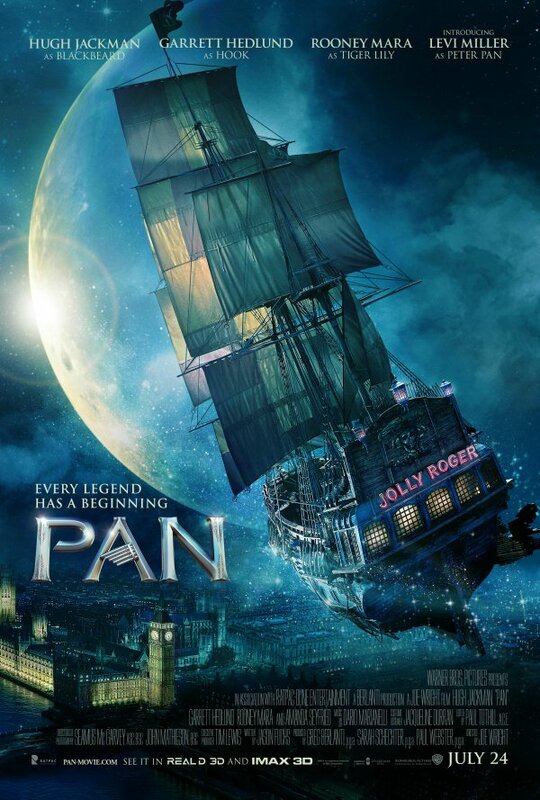 Pan, in case you don’t yet know, is director Joe Wright’s foray into the imaginative world of Peter Pan, for a live-action blockbuster that will hit theaters on July 24. The 3D family adventure stars Jackman, Rooney Mara (Tiger Lily), Garret Hedlund (Hook), and 11-year-old newcomer Levi Miller (Peter) in a unique spin on the traditional Peter Pan narrative. Joe Wright and his creative team on Pan made it abundantly clear during our set visit that they weren’t setting out to do a live-action version of the classic Walt Disney cartoon that most of us grew up on. Their inspiration comes from J.M. Barrie’s works, Peter Pan, of The Boy Who Wouldn’t Grow Up. Most of the creators in the production offices admitted to not watching the Disney cartoon in preparation for working on this feature, because Joe Wright’s vision is so different from the world that exists in the animated take. That’s not to say Wright (Atonement, Hanna, Anna Karenina) doesn’t utilize familiar aspects from the Peter Pan cartoon. Quite the contrary. But it’s HOW he uses them in Pan that sets this movie apart. Let’s continue to explore. Peter isn’t Peter when Pan starts. This might be an easy analogy, but Pan feels like Batman Begins for the boy who refuses to grow up. The story gets underway with Peter (Miller) in an orphanage in the 1940s, during the war. The boy clutches a letter, which he’d received from his mother (Amanda Seyfried) many years ago. It’s Peter’s mission to reunite with his mom – a mission that’s interrupted when Blackbeard and his pirates descend on the orphanage and carry kidnapped children to Neverland. Wright’s team talked at length about the progression of color that will signify Peter’s journey through Neverland. What starts in a monochromatic London orphanage will transition, from scene to scene, into a vibrant, imaginative playground filled with wondrous creatures such as fairies, Lost Boys, mermaids, the Never Bird, an albino crocodile and, of course, pirates. 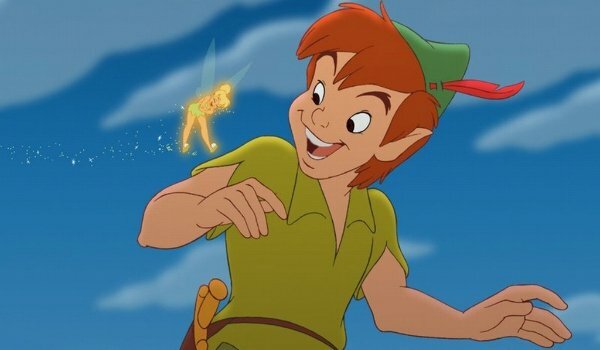 But Pan sees Peter coming to terms with being Peter Pan, and it’s not as simple of a journey as you might assume. If you are familiar with Joe Wright’s brilliant films, you know he favors practical effects over CGI, and Pan is no different. On vast soundstages outside of London, we were able to walk on a full-scale replica of the Jolly Roger pirate ship. We traipsed through colorful villages, held weapons and props that belonged to the denizens of Neverland, and we watched the first meeting between Peter (Miller) and Hook (Hedlund). The best part? We walked through the sprawling, incredible recreation of Neverland, a set that stretched for multiple soundstages and included towering trees, massive mushroom stumps, pieces of shipwrecked boats, a tunnel (where an important fight will take place), and a trampoline circle surrounded by chairs where the "ruling counsel" of Neverland sits. It’s a wonderful set that promises to house some impressive action set pieces – from underwater battles to swordfights and martial arts-based trampoline wars – and Wright made sure that it physically existed in this world, in which his cast was encouraged to play. 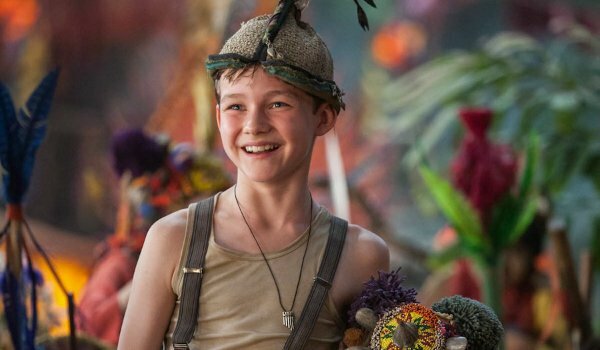 There could be no more important casting for Pan than finding the ideal Peter, and Wright seems to have hit a home run with 11-year-old Levi Miller. The young Australian held court with this small team of reporters, convincing all of us at the end of the lengthy interview that he’s a real find for the casting department. According to Miller, his Peter is adventurous and charming, and he’s driven by his "singular mission" to locate his mother. "He’s kind of a normal 19th century boy," Miller told us. Can he fly yet? "Maybe he can, and maybe he can’t," the seasoned pro dodged with the media! Well, at least Miller revealed that Peter, in this film, has a complicated relationship with both Hook (Garret Hedlund) and Tiger Lily (Rooney Mara) – something we were fascinated by because these are characters who will remain part of Peter’s fabric if the story is to continue. Everywhere we went on the set of Pan, everyone made it clear that Garrett Hedlund was operating at another level playing Hook, and we were told repeatedly that audiences will exit the theater raving about his winning performance. If we heard it once, we heard it 1,000 times. Hedlund, naturally, downplayed expectations but told us he was having a blast exploring the goofy, comedic tone Wright wants for James Hook. That’s right, Hook isn’t yet Captain Hook in this movie. He’s an American – from the Midwest – who has been in Neverland for quite some time and actually starts off helping Peter during the early stages of the film. In fact, when we watch Hedlund work, he had both hands intact. 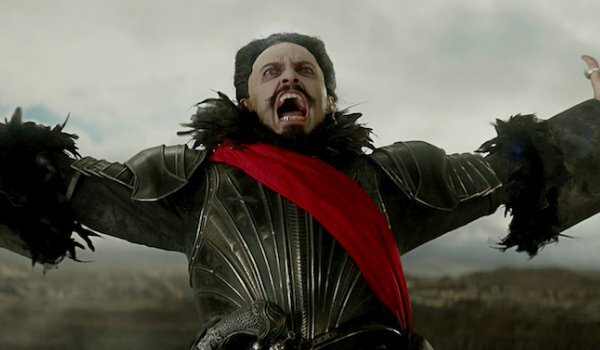 Pan is as much Hook’s origin story as it is Peter’s, and Hedlund opened up about how they’re dynamic will change over the course of the film, starting as allies and becoming… something different. When Hedlund revealed that Hugh Jackman’s Blackbeard had tremendous influence over the development of Hook as a character, that didn’t bode well for the fate of young Peter Pan. Producer Sarah Schechter opened up, during our visit, of the possibility of Pan kickstarting a new franchise of live-action Peter Pan movies. With a leading man not even in his teens, and a wealth of possible stories left to tell, the sky over Neverland truly could be the limit for this cast and this series. 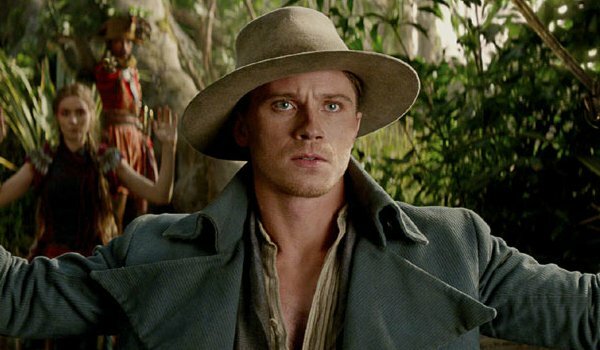 Garrett Hedlund, who plays Hook to Miller’s Pan, admitted, "We signed on for multiple films." So if Pan does well, expect more stories in this universe. 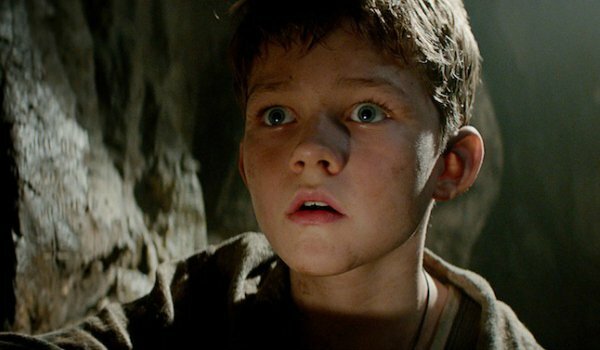 But Schechter made it crystal clear that the decision to make more movies centered around Levi Miller’s Peter Pan would be "organic" and not calculated. They love the world. They love these characters. They would love to keep telling stories with them, but nothing is set in stone. That being said, it’s worth noting that Pan will connect – loosely – to the familiar story of Wendy, John, Nana and the characters we love. It does not directly lead into that tale, but we might see a few very interesting hints as Pan draws to a close. Joe Wright made a name for himself (in the film-geek community, at least) for choreographing impossibly long, stylistic, unbroken single-take shots in movies like Atonement and Hanna. But don’t look for one in Pan, as the director told us during a lively conversation that there’s no use in trying to outdo the incredible camera work Alfonso Cuaron recently did with the Oscar-winning sci-fi masterpiece Gravity. While on set, we were lucky enough to sit in a small theater and watch a rough-cut of one of the film’s opening scenes – when the pirates soar over London in flying pirate ships and Peter tries to escape… then to hold on for dear life. And in this moment, there’s an unmistakable Gravity homage that Wright said he had a lot of fun including. 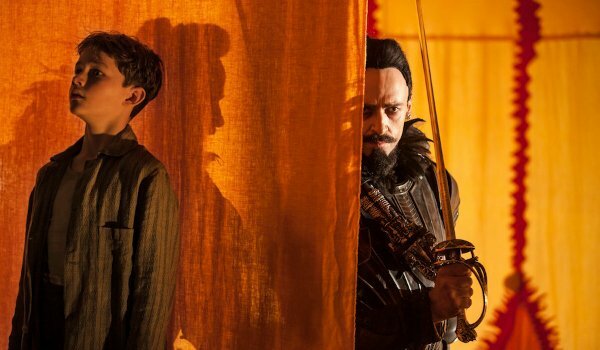 The director emphasized over and over that his inspiration for doing Pan was a desire to entertain his three-year-old son, saying he’s fascinated with finding new things that make his child laugh. And while Wright isn’t a franchise guy, when we asked if he’d keep telling stories in this world, he smiled and replied, "We’ll see." And so will you when Joe Wright’s Pan opens in theaters on July 24.